Let’s face it, everyone wants to be wealthier than they currently are right now. Unless, of course, you are one of the lucky few with no money worries and a life of sheer luxury. For the majority of people a life with no bounds when it comes to money is the stuff of dreams. While money can’t make you happy, it can certainly make life easier, which in turn makes you happy in the long term, wouldn’t you agree? Wealth for the people who have the money sat in the bank account, is something that won’t have just come to them overnight. Sure there are lottery winners out there, but the true millionaires tend to have worked their socks off to get where they are today. So how does someone normal increase their wealth and in turn broaden their horizons? Often it is the small things that can add up to make a big difference. In truth, if you save on just one thing today, then you are a wealthier person tomorrow, and this is the sort of attitude to have. Which is why I thought I would share with you seven great ways that could help you increase your wealth. Some may sound obvious, others may sound small, but collectively together, changing your habits could help you on your way to a wealthier life. Property will be one of the single most expensive purchases you make in your lifetime. But buying right could be the making of you financially. First of all, buying a property that is in need of some attention or work, or has the scope to be bigger in regards to the square footage and the floor plan, is a solid investment to make. Property increases in value, even having something and not doing anything to it for years, could see you make some money in the future, just due to the increase in cost of living and the economy. A property may not necessarily make you wealthy overnight, but you could certainly find yourself in a position where, on paper, and for the future, you have a nice tidy nestegg ready. Maybe you like the idea of traveling, and this can be a great way to increase your wealth. You may be wondering how, but hear me out. In some countries, the job you do right now can pay more. Some countries have a real need for certain skilled workers or even industry leading experts and they are prepared to pay the big bucks. Doing this even only for a few years of your life could help you increase your wealth. Living abortad coudl also be a great experience and websites like https://www.rumah.com/rumah-disewa/di-area-yogyakarta-idyo07 can help you see some of the options you have available and for what sort of money and price. I could certainly be a real worthwhile experience to combine travelling with living and working abroad. Negotiating is something you either can do, or feel too afraid to do, but actually making it a game or challenging yourself to pay as little as possible, not only can be fun, but it also saves you a fair bit in the process. Helping you to be more wealthier than you would have been paying full price. Of course, in the supermarket it can be quite difficult to ask to pay for less. But, there are certain things you can negotiate with. For example, when buying a property, a car or even a holiday. Websites like https://www.iwillteachyoutoberich.com/how-to-negotiate/ have some great tips. Another way to get things for cheaper, even for things that have a set price such as a restaurant menu or food in the supermarket, is using coupons and discount codes. This may sound like a real small thing to do, but paying less for everyday things means that overall you are spending less and your disposable income is boosted. Over time, this could help increase your wealth. As mentioned taking the smaller things and combining it with different way to save, pay less, or even boost your income, is only going to make you overall more wealthier for the future. Do you have a hobby that you love? Maybe you have an online blog, a youtube channel, or love creating things like baking cakes or clothing for your children. Perhaps you could turn that hobby and passion into a business? 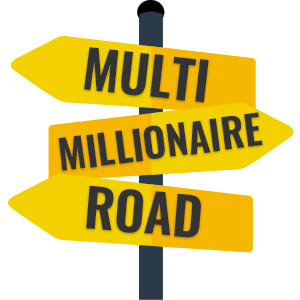 So many people are taking this route and are finding that not only does it increase their income, but it can also really help you to strike a great balance between work and your home life. Which can help you to feel more wealthier emotionally. Thanks to the uplift of applications and social media, it now more easier than ever to take on small jobs in the evening or during your spare time. From running errands, tidying up someones garden, to freelancing your own skills, you can take on micro jobs to boost your income and overall make you feel wealthier. It may seem like you are doing a lot of work, but you can pick and choose what you do,a nd it could help pay for some of the short term things in life like holidays, without using your own income. Finally, you could also use your spare time wisely by doing things online like filling out surveys. You can be paid quite a bit for doing this, and it can be as easy as doing it while watching your favourite TV programme in the evening. Another great way to boost your income is to take on mystery shopping. Not only do you get paid a fee, but meals can be reimbursed or money toward what's you buy could also help to increase your income. I hope that this has provided you with some inspiration for some of the great ways you can boost your income and be more wealthy.